School of Mechanical Engineering, Hebei University of Technology, Tianjin, 300000, P.R. China. Expander which drives an electromotor to generate electricity is the core of low-temperature waste heat recovery equipment. At present, domestic expanders on waste heat recovery system mostly arise from exploration, research and improvement on the existing models of screw expanders and scroll expanders, which have complex structures and high costs. For overcoming the shortcomings mentioned above, a new roots-type power machine is researched and designed. 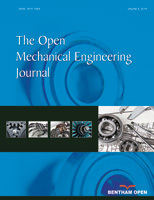 In this paper, the working fluid of low pressure waste heat is stimulated according to both the different operating conditions and the different intake and exhaust pressure and flow, and the changing process of internal flow field is simulated over the time period using dynamic mesh technique when the power machine is in rotating work. Besides, the pressure field, velocity field and graph of mass flow rate are analyzed with the simulation results, thus obtaining the conclusion of optimum operating conditions of the roots-type power machine to guide selection method in practice, that is, selecting appropriate roots-type power machines according to different types of waste heat in industrial production. These efforts can therefore provide strong theoretical guidance and foundation for the subsequent engineering practice of waste heat recovery system on roots-type power machine, and can have a profound impact on further recovery and utilization of low-grade energy.